In the late 400s AD, the Roman Empire came to an end after a long time of fracture and fragmentation. What survived after the fall became known as the Byzantine Empire or Eastern Roman Empire. While certainly not as famous as Rome, the Byzantine Empire wielded formidable power up to the Middle Ages in Europe. Today, it remains an important part of world history curriculum. 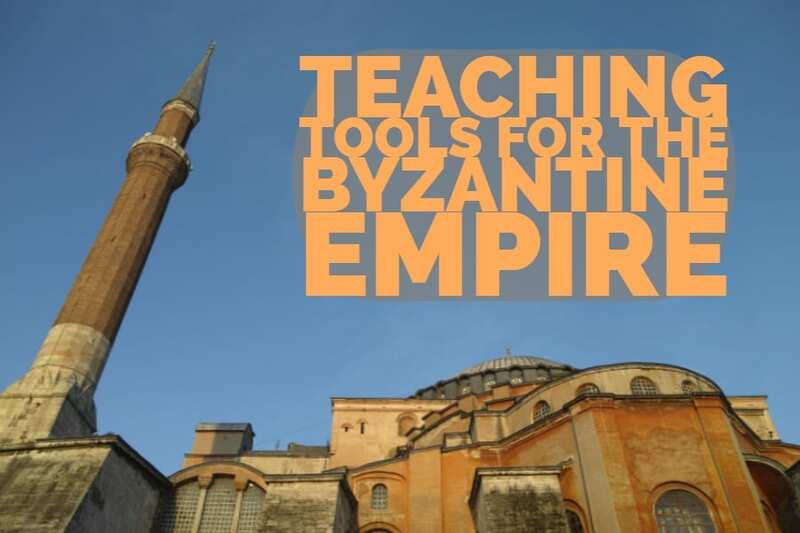 However, what are some teaching tools that can be used to get students excited about learning Byzantine history? Check out this list of resources to discover new ways to spice up lesson plans! While actually taking students to a museum can be difficult, many museums put their collections online where they are easily viewed. 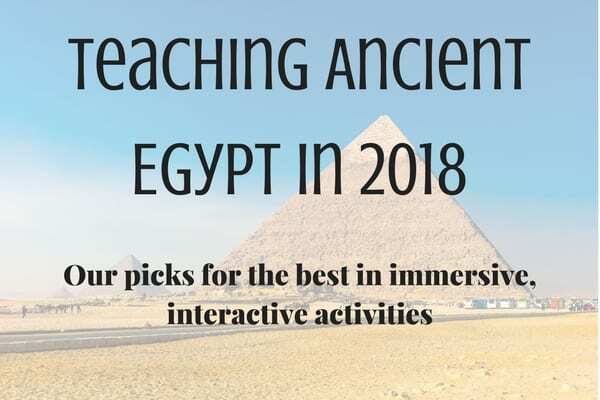 Using these artifacts, teachers can encourage their students to do research about ancient civilizations and learn about the culture by drawing conclusions about their stuff. The Met provides essays about the history as well as the art of the Byzantine Empire. Along with its provided writing, the website hosts online features from Helen Evans on the art of the time. Students explore the artifacts and receive additional information on the development of art from an expert. The Museum of Byzantine Culture in Greece provides an English site complete with pictures of their collection. The museum’s collection numbers more than 46,000 artifacts which date from the 2nd to the 20th century. Students can take close up looks at the detail in some of the pieces as well as read the history and use of each one. Mr. Donn is a great source for all units of world history, the Byzantine Empire being no exception. 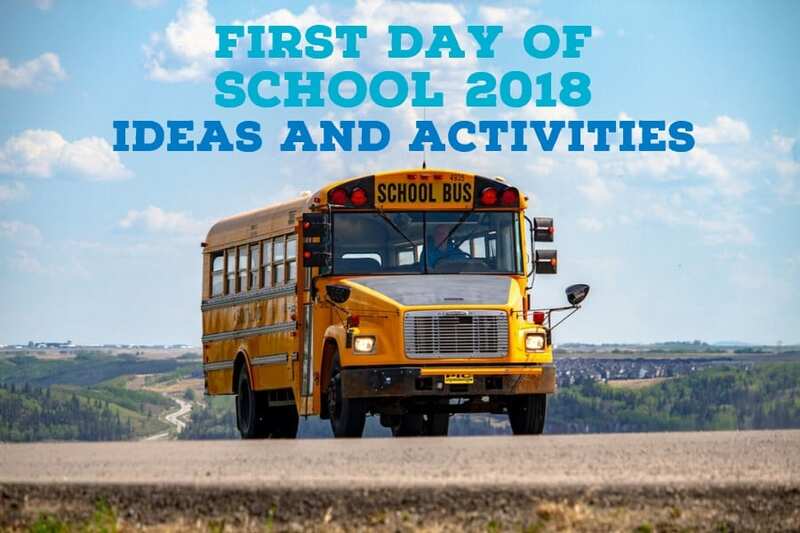 His website offers free powerpoints, maps, and templates which can be helpful for putting together lessons on the subject. If you want to focus on one aspect of Byzantine history in particular, we recommend Justianian and Theodora. These two are the most famous leaders of the empire. As part of one of our series of Women’s History Month blogs, we collected resources for teaching about powerful female leaders of history. Theodora featured on this list. For lessons about her, head over to that blog to get the resources you need. To really bring something engaging to lessons, consider making use of videos or games to draw in student interest. By mixing traditional lecture with these media sources, all kinds of learners are served and can connect with the material. Otherwise, they miss out or stay uninterested. Extra History makes awesome series on all sorts of topics, but they have entire playlist of Justinian and Theodora, the two most famous rulers of the empire (as previously mentioned). In addition to their policies and reforms, the videos cover their origins and more personal aspects of their stories. 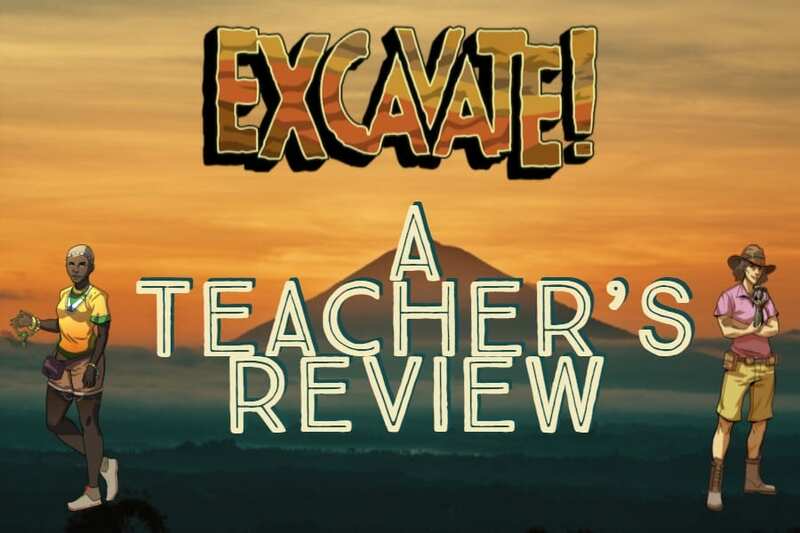 Of course, our own Excavate! 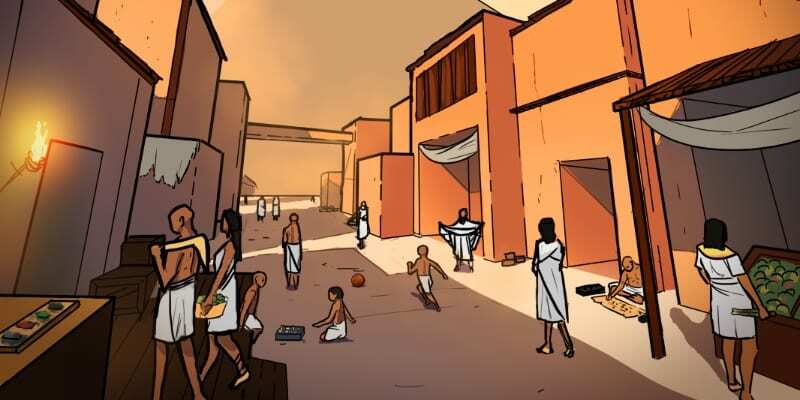 Byzantine just came out recently, and it serves as a great tool for teaching about the daily lives of Byzantine citizens. Students dig up artifacts and analyze them in order to draw conclusions about Byzantine culture. This includes religion, economy, home life, and governmental structure. 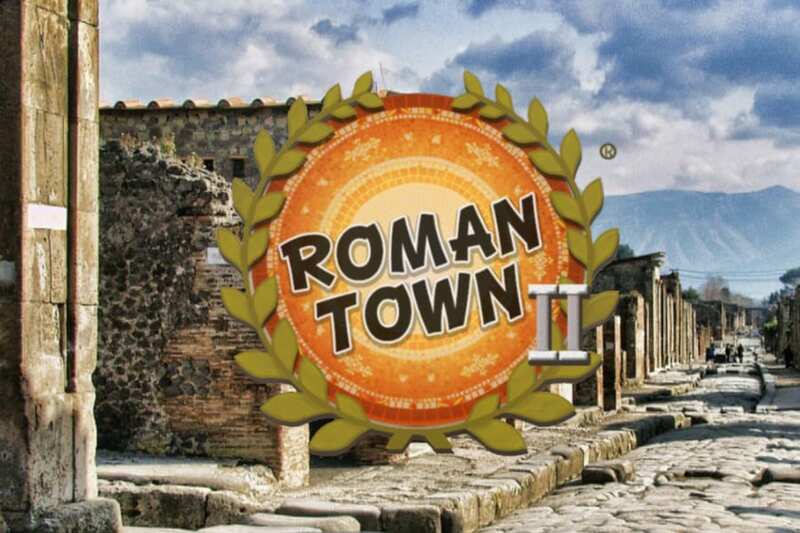 Apply C3 skills in this middle school social studies game that brings the ancient civilization of the Byzantine Empire to life through archaeology. For your convenience, Excavate! Byzantine works for Apple, Android, and HTML5. Additionally, all the Excavate! games come with supporting teacher materials for using the games in class. 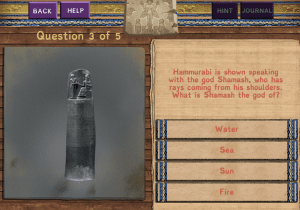 For a complete lesson, make sure to check out the Teacher Guide, Artifact-Based Questions, and Inquiry Analysis Questions. Hopefully, these resources will help in putting together new lessons on the Byzantine Empire for middle school students. If you have any questions about our products, know that you can always contact us. Local Archaeology: Discoveries, Education, and More! Archaeologists discover new findings every day across the world. 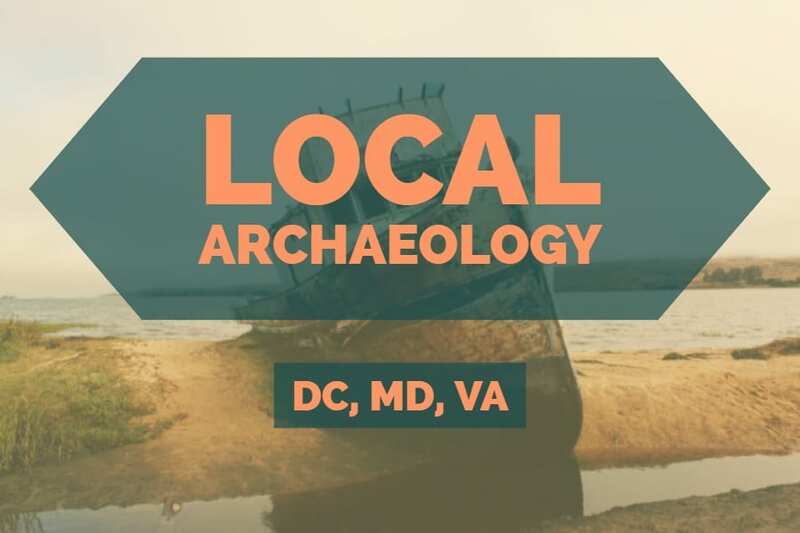 Here, we take a moment to highlight discoveries and opportunities for those interested in archaeology around the DC Metro area. 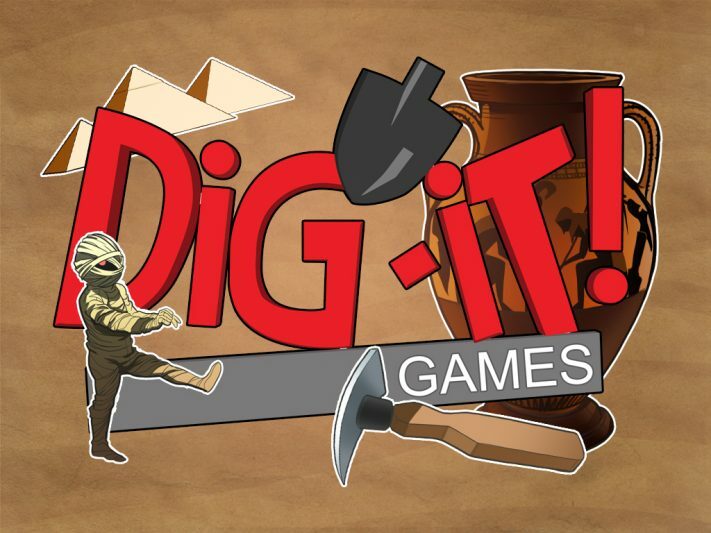 Based in Bethesda, MD, we at Dig-It! 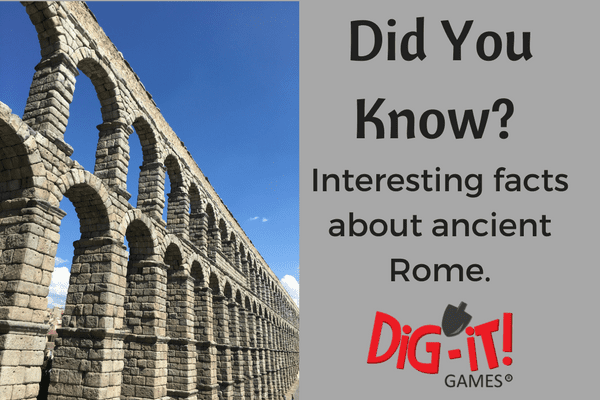 Games always try to keep up with what’s happening in archaeology around us. Bigger finds often overshadow local archaeology. However, archaeologists find tons of interesting things around Maryland, Virginia, and DC. 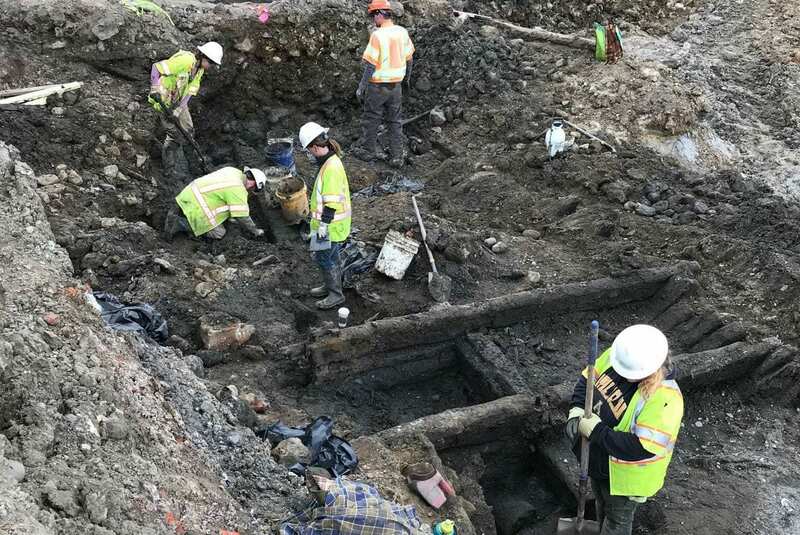 On the historic waterfront of Alexandria, archaeologists discovered the remains of two ships from the late 1700s or early 1800s. Just two blocks away, archaeologists found a similar ship at the Hotel Indigo site in late 2015. At the beginning of March, the City of Alexandria won a grant to preserve that ship from the Virginia Association of Museums. For these two new ships, examination and analysis still needs to take place. It has yet to be announced if these ships will be preserved. Archaeologist discovered the ships on a site where developers JBG Smith and EYA are turning a former warehouse into townhouses and condos. The law of Maryland requires that developers have archaeologists on site whenever ground is disturbed. We look forward to hearing about what those archaeological treasures might be! If you want, read the full story on the Washington Post for all the details about the excavation. 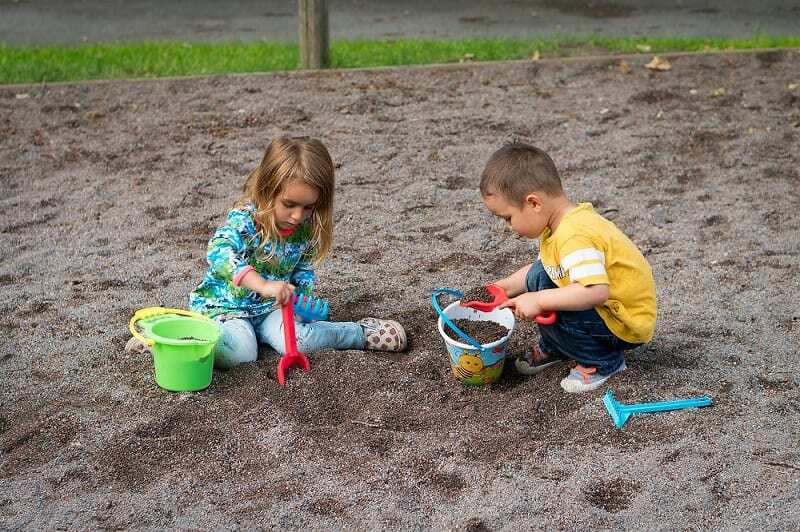 Do you know an aspiring archaeologist or just a kid who loves to dig? Around the DC area, you can find many opportunities for young excavators to learn the tools of the trade- literally! 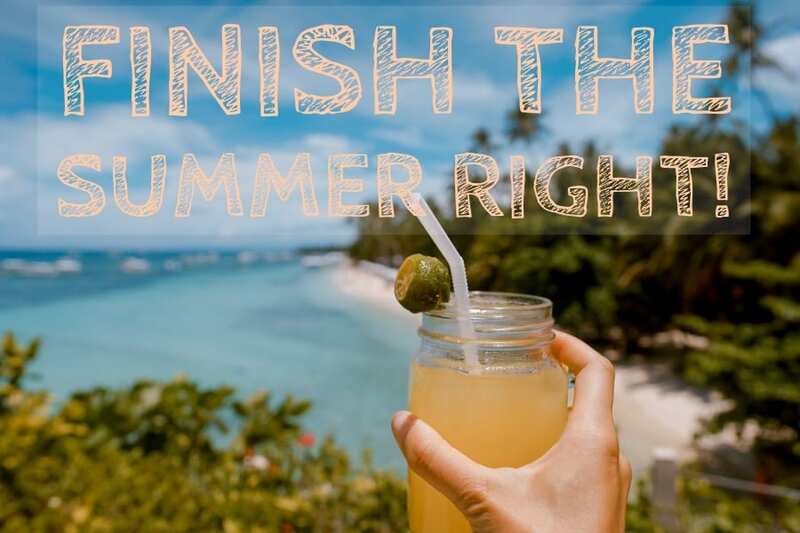 Check out these programs first to see if there’s a good fit for your student, child, or the whole family! Archaeology in the Community, a Washington, DC, organization, aims to promote the study and understanding of archaeological heritage. In pursuit of this goal, they host public events, enrichment programs, and professional development. Additionally they offer a ton of regular youth activities as well as camps. Also, the National Park Service offers regional archaeology programs in and around DC. They offer cool archaeology programs for youth, teachers, professionals, and others in a variety of locations around the metro area. 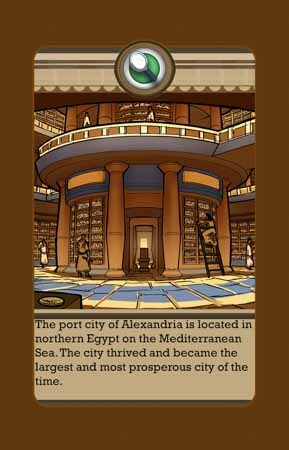 Finally, of course, check out the Alexandria Archaeology Museum and learn more about the newly discovered ships. While we don’t have an Excavate! 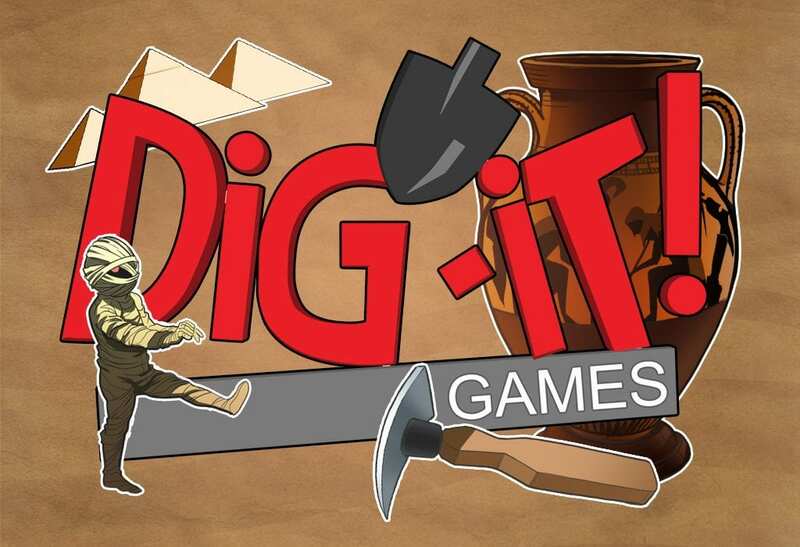 DC, our series of social studies archaeology games serve as a great way to get students interested in world history and the process behind excavation. Through C-3 aligned gameplay, Excavate! fits into both the classroom and homeschooling curriculum. Choose from a variety of civilizations with six currently available: MesoAmerica, Mesopotamia, Greece, Rome, Egypt, and the Byzantine Empire. Additionally, bundles of civilizations release on the Apple App Store tomorrow for greater convenience. However, the games can also be purchased from Google Play, Amazon Appstore, and on our website. Our latest expansion to our long-running Excavate! 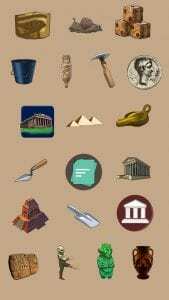 social studies and archaeology game series arrives today! 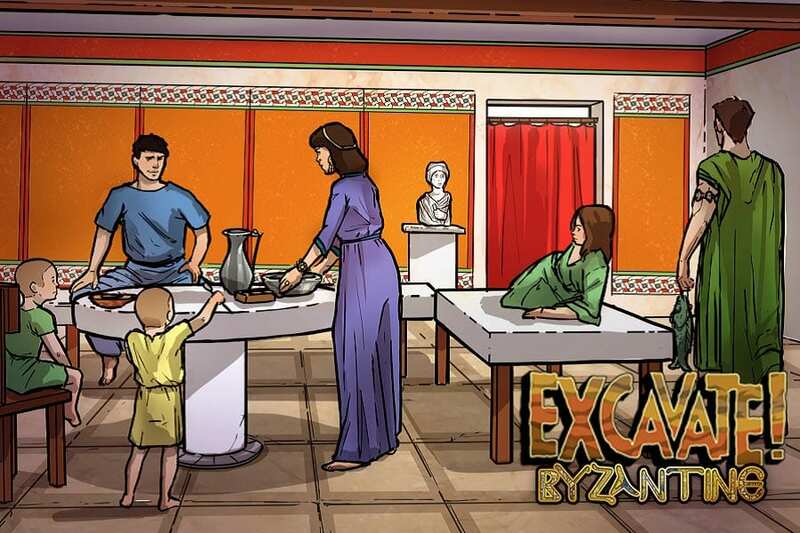 Play Excavate! Byzantine on the web, Android devices, or iOS devices for $3.99. If you want more than one civilization, contact us to request bundle pricing. Byzantine brings out total number of games up to six. Previously, the Excavate! 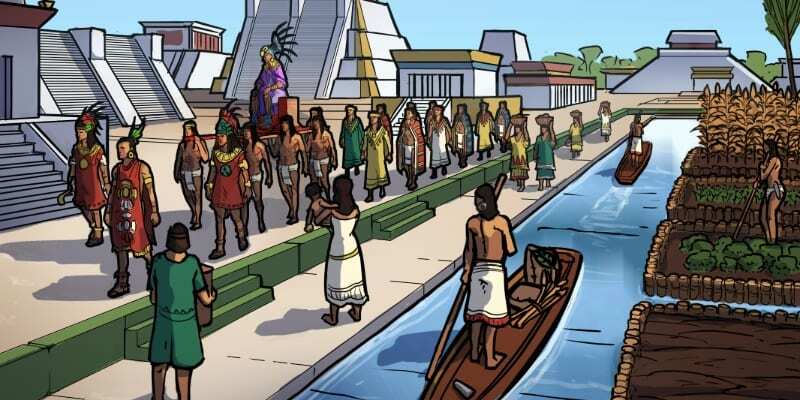 series included Rome, Egypt, Mesopotamia, MesoAmerica, and Greece. Like its predecessors, Excavate! 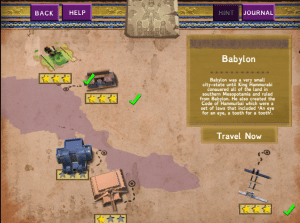 Byzantine includes C3-aligned gameplay and companion teacher resources. For specifics, you can find out more on the main page for the game. Dig-It! 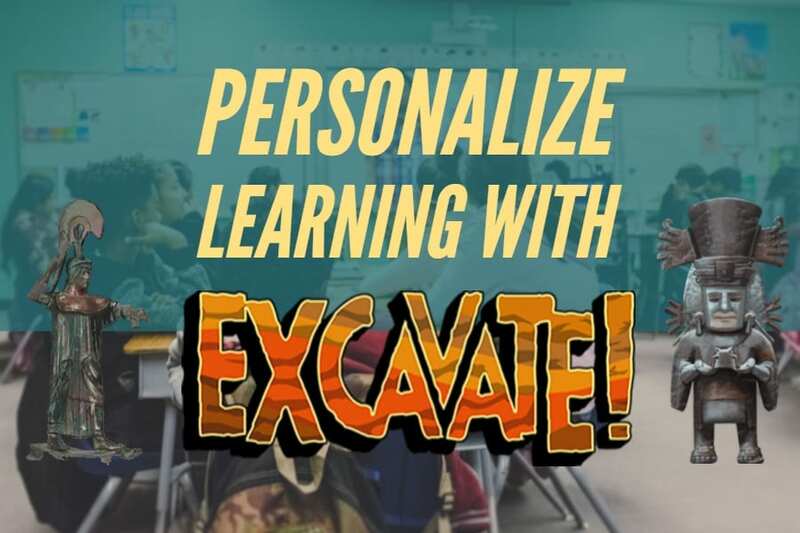 Games CEO Suzi Wilczynski, a former middle school teacher, designs the Excavate! games. 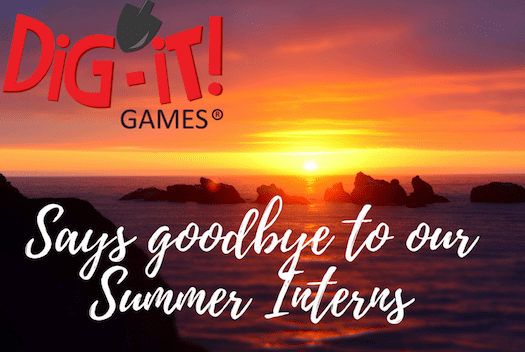 Through engaging gameplay and challenging analysis, the series aims to take students on entertaining and educational archaeological adventures through time and around the world. 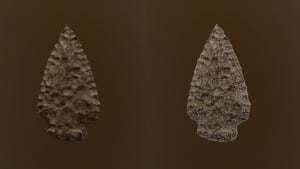 By using archaeologists’ tools, players uncover real artifacts from ancient cultures. 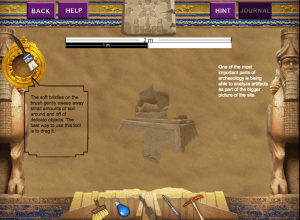 First, the game gets players immediately in the dirt, evaluating the proper tool to use while learning about the scientific process of excavation. Through this, players learn concepts such as stratigraphy, context and the importance of proper recording. 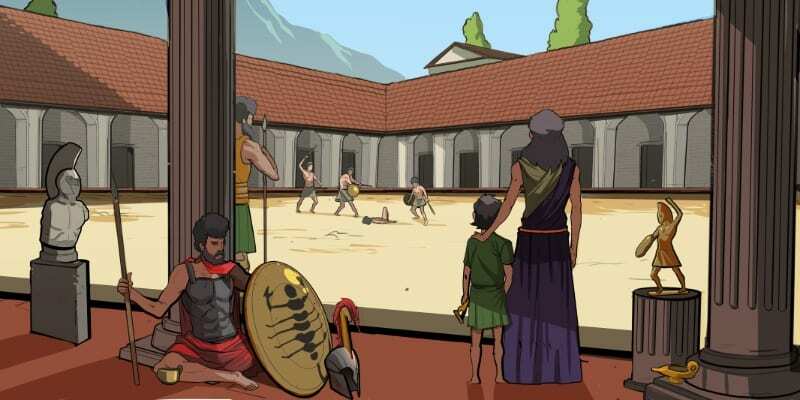 Next, analysis takes center stage as players learn about the significance of the artifacts they collect and gain a deeper understanding of ancient people through what they left behind. 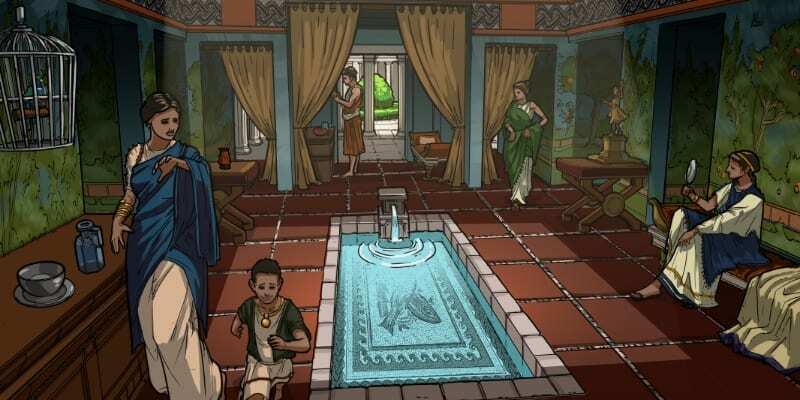 Each civilization includes 3D artifacts and detailed illustrations of ancient life to immerse the user in each unique culture. Excavate! Byzantine takes students to the Hagia Sophia, the Imperial Palace, an oikos (or house), and a market to discover how the people of this civilization lived. While they analyze artifacts, students learn about the role of religion, family, military, and trade in the empire. 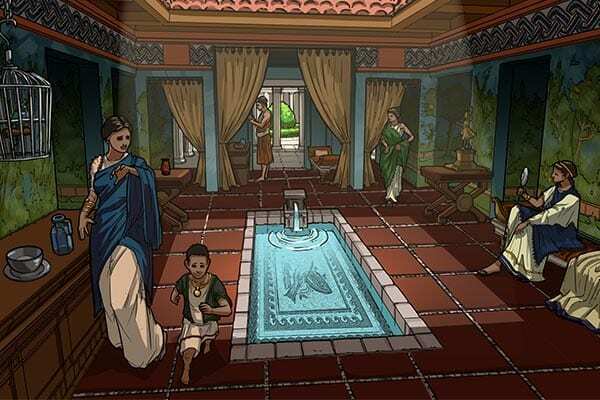 In this way, students not only learn about life in the Byzantine Empire but also stretch their critical thinking skills. 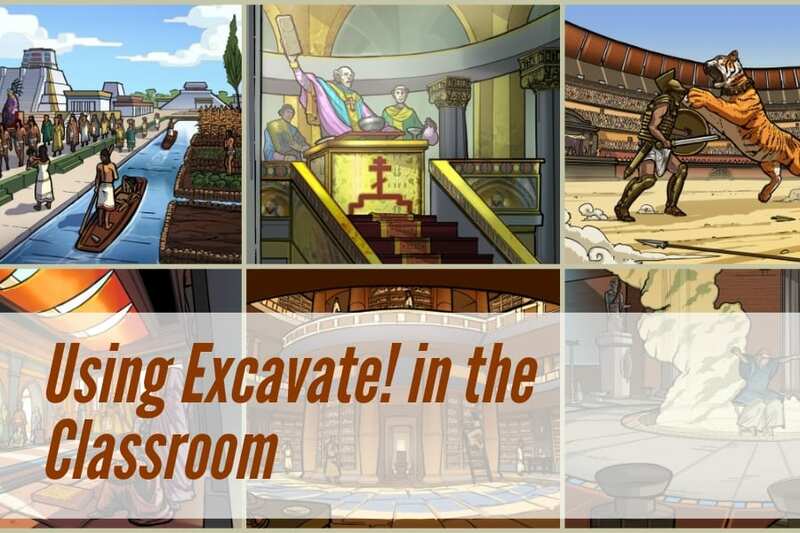 Teachers, we also provide several helpful resources for creating lesson plans around Excavate! Byzantine. Look through the Teachers Guide, focus on Inquiry Analysis, and quiz your students with these Artifact Based Questions. 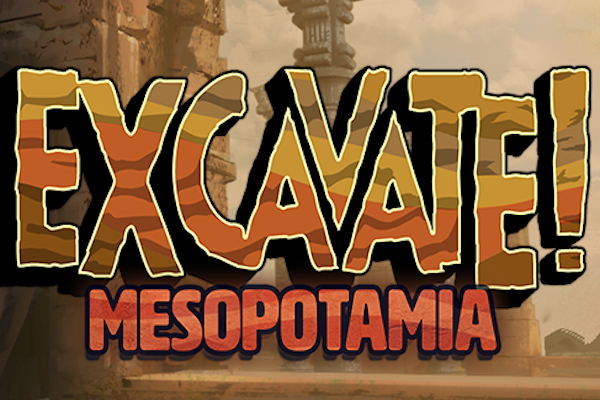 Because we want to make the use of these games as easy as possible, we have similar resources for each of the games in the Excavate! series. If you want more information, read the full press release here.